The Santa Maria Four Wheelers was incorporated as a non-profit organization in 1964. Our goal is to promote family and environmentally friendly off-road experiences. Our Club is a member of the California Four Wheel Drive Association – whose main goal is to keep public lands open to the public. Membership in the Santa Maria Four Wheelers is open to anyone interested in camping, trail riding, and enjoying the great outdoors. We participate in many volunteer programs, including Adopt-A-Highway, Adopt-A-Trail, Adopt-An-Area, and Beach Cleanups. Our Adopt-A-Highway is near the Rock Front Ranch 30 miles east of US 101 on Highway 166. We have been taking care of this two mile stretch for over 20 years. Our Adopt-A-Trail is Shaw Ridge – in the Rock Front area of Los Padres Nat’l. Forest. We maintain the trail so that it is usable for the public. We move rocks and trees, etc. from the trail. We also repair and replace trail signs provided by the Forest Service. As part of our Adopt-An-Area, we maintain camp areas in the Rock Front area – building wilderness toilets, repairing picnic tables, removing litter, etc. After hunting season ends, we pick up a lot of gun shells and casings. Beach cleanups are done in coordination with Keep California Beautiful and are done at least twice a year. Again, we have been participating in these programs for at least 20 years. We occasionally offer vehicle inspections and off-road seminars to encourage people to take care of their vehicles and enjoy the wilderness in an environmentally sensitive manner. We firmly adhere to the “Tread Lightly” creed – respecting the land – keeping it as pristine as possible for all to enjoy. Over the years, we have been involved in many charitable events including Toy Runs and food drives. Our history includes many acts of donated time and resources for the public benefit. We are not big and loud – but we do get a lot done. Our Club meetings are held on the fourth Tuesday of each month – excluding December. We meet at Giavanni’s Pizza in Orcutt – Clark and Bradley Roads. Meetings come to order at 7pm and generally last about an hour. Dues are $30 per year and are due on March 30. If you join in the first three months of the year, you get those FREE!! 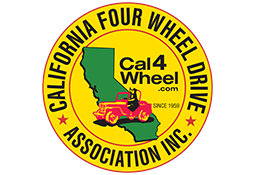 We encourage our club members to join the California Four Wheel Drive Association. The Santa Maria 4 Wheelers are part of this organization that has been working to keep our trails open since they formed in 1959. Cal4Wheel sponsors several events throughout California, including the Molina Ghost Run at Hollister SVRA. Every Cal4Wheel event offers run for every type of vehicle and driver, and most events feature camping, meals and a drawing for prizes like winches and tires. Dues are $45 per year and include a subscription to their In Gear magazine, decals, discounts on event registrations, and a membership card. You are welcome to attend one of our meetings as a guest at any time. You don’t even need to own a four-wheel drive vehicle. We meet on the fourth Tuesday of every month at 7 p.m.
What types of runs do you go on? Our members go on a wide variety of runs, from relaxing scenic drives to the coast, all the way up to overnight adventures that require shorter wheelbases and more specialized equipment. We can help you decide which runs would be right for you. It’s only $30 per year to be a member of our club. We use those funds to operate. What requirements are there to join? We do not have any requirements that you attend meetings or go on a certain number of runs to become a member. You can join at any of our meetings, or download the form that appears on this page and mail it to us with your annual dues payment. Of course! Many of the members in the club have children who have grown up riding in the backseat, including some who are now members on their own. Any vehicle with four-wheel drive is suitable. Our members drive all makes, models and wheelbases, including full-size trucks and specialized rock crawlers. Bring whatever you have! We’ll show you how to use it. 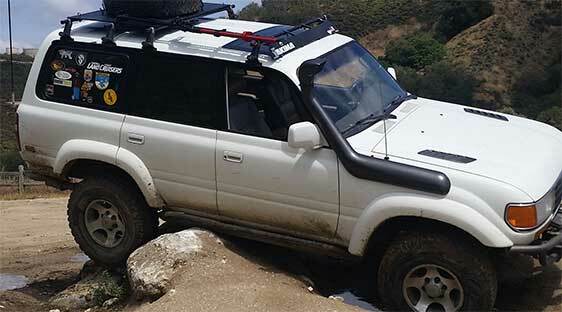 Contact Nick, our membership director, at 805-458-5710 or send an email to go4x4@sm4wheelers.org. Contact us. We will try to get back to you as soon as we can.